Todd Milbourn is an investigative reporter, journalism instructor and co-director of the SOJC’s journalism master’s program. As an Agora Faculty Innovation Fellow for 2017-18, Milbourn co-founded The 32 Percent Project, a national community engagement project exploring what drives and disrupts trust in the news media. Before joining the SOJC, Milbourn worked as a newspaper reporter for The Sacramento Bee and The Modesto Bee, where he produced a string of award-winning investigations. He’s also worked as a magazine editor in Prague and as a broadcast journalist for the CBS affiliate in Eugene. At the SOJC, Milbourn oversees the intensive, immersive one-year master’s program in journalism along with SOJC multimedia instructor Sung Park. He teaches graduate and undergraduate courses on multimedia storytelling, investigative reporting and media entrepreneurship. He’s the faculty advisor to Flux Magazine, winner of the 2016 Pacemaker Award for excellence in student journalism for its coverage of race. 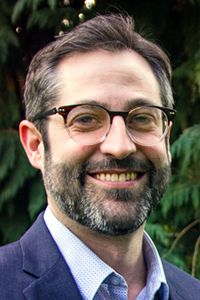 Milbourn holds an MBA from the University of Oregon and a BA in political science from the University of Minnesota. As an affiliated faculty member with UO’s Lundquist College of Business, Milbourn teaches courses on entrepreneurship and leads graduate-level workshops on storytelling and communication. He received an award for outstanding teaching from the SOJC in 2016.